or just trying something fresh and exciting, this site is for you. Working overseas is a big decision. And there's a lot of misleading information about teaching English in Japan. We’ve put together tons of useful information designed to answer your questions about becoming an English teacher in Japan. Can I teach in Japan without a visa? 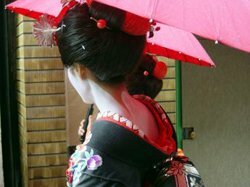 Do I need TESOL certification to teach in Japan? 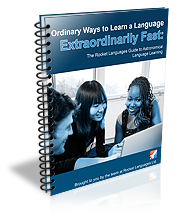 Where can I get started learning Japanese? Where can I find jobs in Japan? Should I work for Aeon, Geos, ECC or someone else? What about TEFL placement agencies, can they help me find a job? What about earning more money free-lancing in Japan? What do Japanese apartments look like? How big can I expect my apartment to be? What about the Jet Program? Will I be able to save any money? I can speak Japanese. Will this help me get a teaching job? If I change jobs, or get fired what happens to my visa? I want to teach during my gap year. Any advice to convince my parents about teaching in Japan? Believe it or not, getting started teaching English in Japan is easier than you think but teaching in Japan is not for everyone. Get the answers you need to make a decision about working in Japan right here! But one of your first steps in starting your career as an ESL teacher is getting some qualifications. You can give yourself a competitive edge with an on-line TEFL certificate. i-to-i is the industry leader complete with a job placement service to help you nail down your first teaching job. Thinking Of Teaching English in Japan? Feel Free to Look Around for Jobs, Interview & Resume Advice, Apartment info. Japanese Lessons, Survival Tips for Teaching in Japan, You Name It! We know everything from A to Z about working abroad in Japan to give you the most accurate and update information about teaching in Japan. Give us a read. You'll find everything from tips on Accommodations to Zabutons! Feel free to take a look around or navigate from the navigation bar on the left. Or better yet, click on the site map to find what you're looking for really fast. Organized by preparations stages, get yourself organized quickly to teach English in Japan! Didn't find what you were looking for? Take a look at our Site Map to find it fast or use the search box below. Simply enter a keyword related to teaching in Japan in the box below. Search our site or even the entire web. Just select the radio button where you would like to find what you're looking for.